If you had been out in the dead of night in Jackson, Miss., a few months ago, you might have run across Ron Chane’s work. The local resident patched just over 100 of the many potholes that dotted the city’s streets. 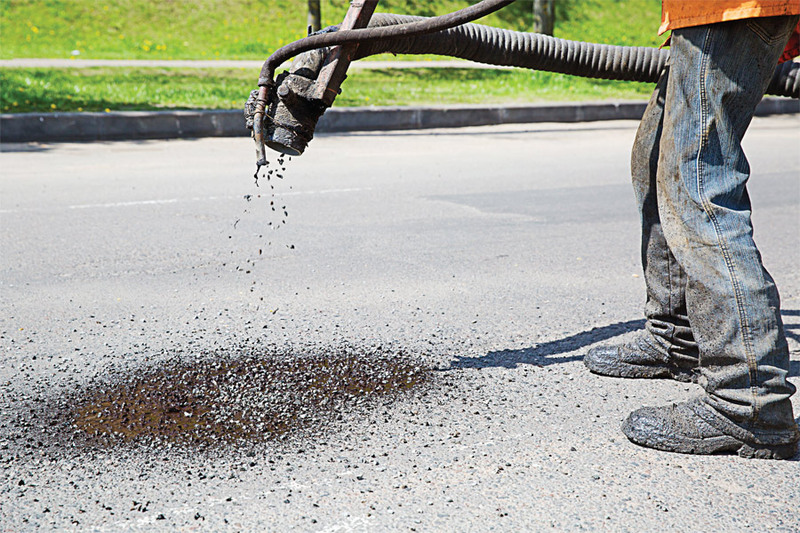 Several months earlier, a similarly interesting incident had taken place: that time in Lyman, S.C.
Cities and towns are hurting for revenue for everything, including street repairs. Long delays frustrate citizens, a few of whom are bypassing the usual channels and taking matters into their own hands. Some have started citizen action groups. Others have taken a more vigilante stance. The woman whose family installed the speed bump, Monika Julian, told a local television station that neighbors couldn’t even get out of their cars without worrying they would be hit by an oncoming vehicle. “The speeding is out of control. The cars go up and down the street at 45, 50, 60 miles an hour.” She said she bought the speed bump for about $100 and had her son attach it to the asphalt with 4-inch bolts. Their actions quickly grabbed the attention of local authorities. 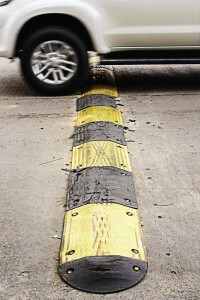 Shortly thereafter, Lyman police and fire employees removed the unauthorized speed bump. Although no one was criminally charged for the installation, as a result of the incident, As public works departments struggle to stretch their budgets far enough to be able to patch all of their pothole-plagued streets, in a few instances residents have decided to take matters into their own hands and attempt the repairs on their own. Lyman Police Chief Terry Richards said officers are closely monitoring the area with radar and have already written multiple citations for speeding. Back in Jackson, Ron Chane, dubbed the “Robin Hood of Potholes” by his fellow residents, vowed to mend 100 of the driver annoyances by himself after deciding he was tired of them. It only took him five days to do it. His material came from leftover asphalt from a project the city had been working on, he told the local WAPT news channel. Citizens were grateful that something had been done. “People joke that Jackson is a Six Flags because the roads are so bumpy,” Zachary Boozer, another Jackson resident, told ABC News. The city has followed up and properly mended some of Chane’s work. A screen printing business owner, he was not been charged for his covert activities. But the mayor of Jackson, Chokwe Lumumba, issued a statement in response. Some citizens take less radical actions. SOSRoads is a grassroots group begun in 2011 by Sonoma County, Calif., residents in response to deteriorating roads. Its goal is to educate and advocate for more funding for roads. Members have already brought national attention to their plight through articles in high profile magazines, and in the past few years have successfully convinced those in charge of the budget to raise the funds for road maintenance by $8 million a year. While they feel that the achievement is not enough, they are pleased with the start they have made. Other states have similar groups. Unable to keep up with road repairs after the harshness of last winter, some entities are getting rid of asphalt altogether. Asphalt roads have been converted to gravel in South Dakota, Alabama and Michigan, to name a few states. The number of miles of gravel or chip-and-seal rises into the hundreds now. Some states have opted to simply let time take its toll on the crumbling roads, slowly turning the asphalt back into gravel.